Saturday, November 17 was no typical Saturday at Shaw’s supermarket in North Windham. On that day from 9 a.m. to 3 p.m., Cub Scout Pack 805 collected over 1,200 community donated non-perishable food items. This included items like toiletries, shampoo and toothpaste as well as raising $364 for the Windham Food Pantry. 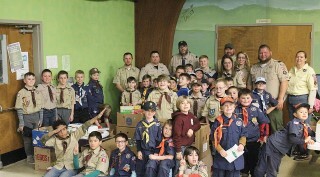 The cub scouts handed incoming customers a flyer with items the Windham Food Pantry was looking for and customers would drop off their donations on their way out. “We did more than what we anticipated we’d be doing; which is just amazing and shows the support of the community,” commented Sarah DiDonato, Tiger Den Leader. Tony Sweet, Cub Master for Pack 805 explained that they did this last year and this year was more successful with more people giving. 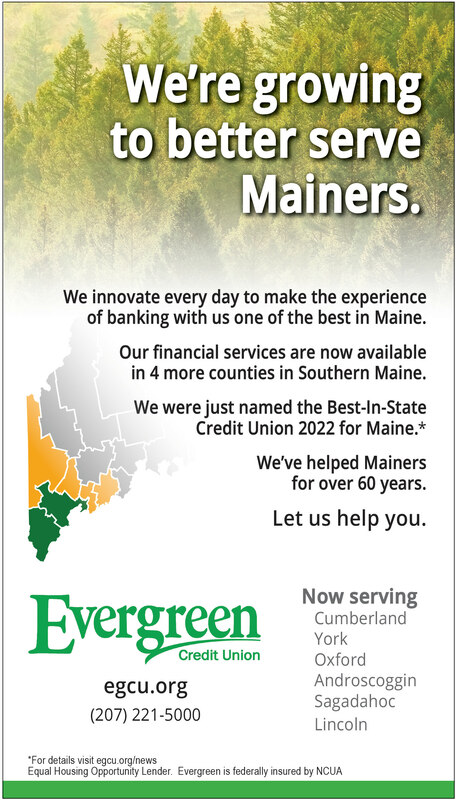 While they don’t set a goal, they do aim to do a little better than the previous year. In 2017, the pack filled six carts worth of non-perishable food items and toiletries. This year, they almost doubled that, filling 11 shopping carts with food and non-food items, along with raising $364 for the Windham Food Pantry. “For Pack 805, this is really big for us,” explains Sweet. “It’s definitely a way for us to give back and we all love doing it.” This food will be able to help a lot of different people. When Sweet looks at all the boxes of food collected, he cannot believe it. “I feel much better knowing I have as much as I do,” commented Colette Gagnon, Social Services Administrative Assistant in charge of the Windham Food Pantry and the Windham Clothes Closet. She explained she used a lot of the donation for Christmas dinners and some for Thanksgiving baskets which feed approximately 400 people. Gagnon also mentioned that the donations really helped families looking for last minute donations. “This was a great opportunity for the food pantry to give families a really happy Thanksgiving,” remarks Gagnon. “People who are less fortunate...should be able to get food and be able to feed their families. I feel like that makes their day when they get food from the food pantry,” said AJ Sweet, Bear Den member and third grader. Next month, Pack 805 plans to do a toy drive, so stay tuned for details.